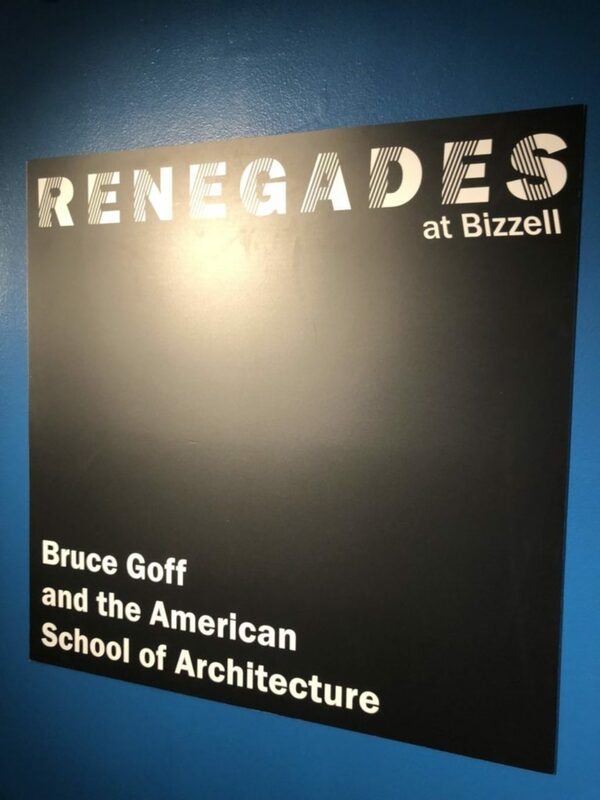 As a fitting addendum to the Renegades: Bruce Goff and the American School of Architecture exhibition taking place at Bizzell Library, the OU School of Architecture is hosting a symposium about the American School beginning at 1:30 p.m. on Monday, April 15th at Gould Hall, Buskuhl Gallery. There will be a public lecture by Christopher Mead, followed by a moderated discussion with American School alumni. Nelson Brackin, Ernie Burden and Arthur Dyson are among those confirmed to attend. Go here to learn more.